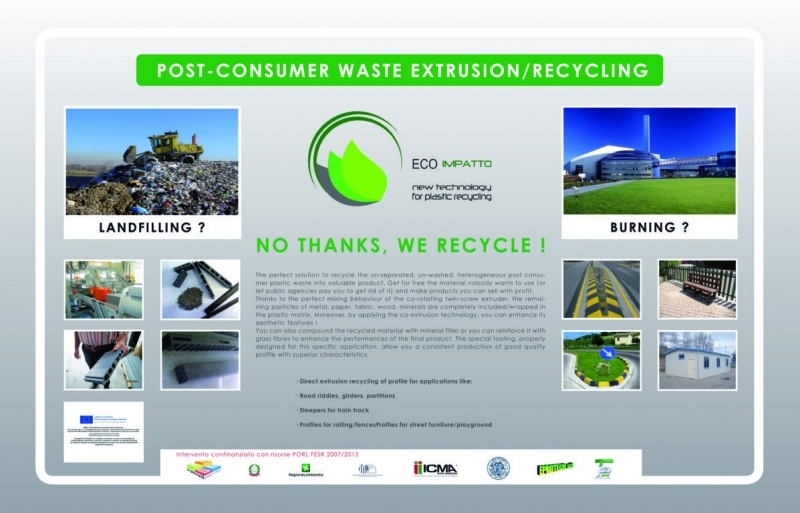 Incentives for the recycling of extreme post-consumer waste (so called Plasmix ) approved by the Italian Government in the DDL budget 2018 with tax credit (up to 50%) for purchases of products resulting from Plasmix. The co-rotating twin-screw extruders and extrusion lines developed by ICMA San Giorgio, as a result of its development project called Ecoimpatto, represent the most advanced frontier to transform these extreme materials into commercial artifacts, usable in different areas . Call us if you want more information about these very innovative extrusion lines!